B. Thomas (Arlington, Texas, United States) on 9 July 2015 in Plant & Nature. 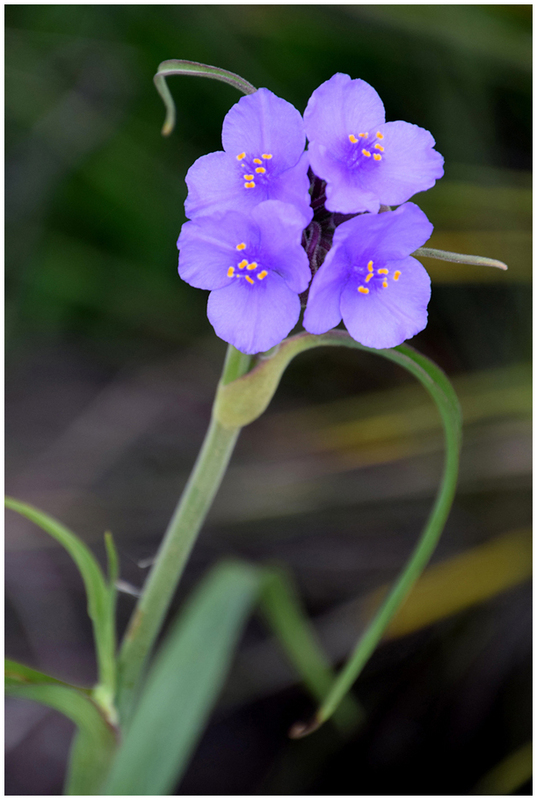 Purple Wart is a common wildflower in Texas Hill Country. It doesn't seem like a very pretty name for a pretty flower. Yes, with a name like that I'd hesitate to get too close ! Toute simple, toute belle ! Lovely colour and selective focus. A very nice macro ! Beautiful close-up ... the colors are fabulous !!! ALthough the name is not pretty, these delicate flowers are beautiful! Great capture of these flowers with the anthers that contrast beautifully with the petals!! And thank you for identifying this flower. I caught a few shots not too long ago. Lovely, with tight focus on the blooms and varying sharpness of the leaves, stem and background. Gorgeous flower, color and close-up, Barbara. Why not Purple Beauty ---- would be justified !! !